A Different Denim	No ratings yet. 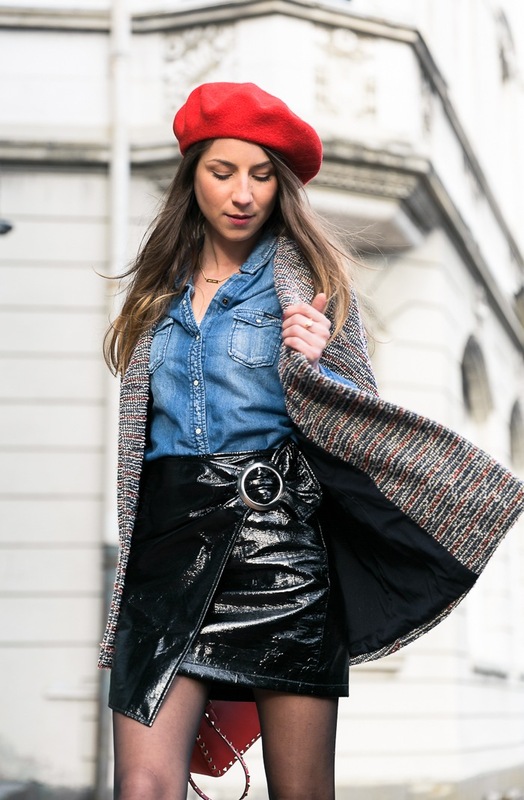 This entry was posted in Styling Sheer Tights and tagged black booties, black heels, denim skirt, leather skirt, red bag, red beannie, Veja Du on March 4, 2017 by tightsreview. The day that I took these photos with Emma Loo Photography it was FREEZING outside. You can probably see that my hands in the photos are red and shivering! In between photos, I walked around with my mom’s huge puffer jacket on, hood up, with mittens on. Then I would quickly take everything off for a few shots and then throw everything right back on! It was pretty comical, but totally worth it. I love the unexpected combination of a cable knit sweater with a sequin skirt! And speaking of cold weather in the Carolinas, we are currently awaiting a snow blizzard to move in this morning. We received a few inches of snow yesterday, but today we’re supposed to get more than 6 inches! I normally love the snow, but my mind has been in “spring mode” so I’m not very happy about the current situation. Who else is ready for warm weather?!!? 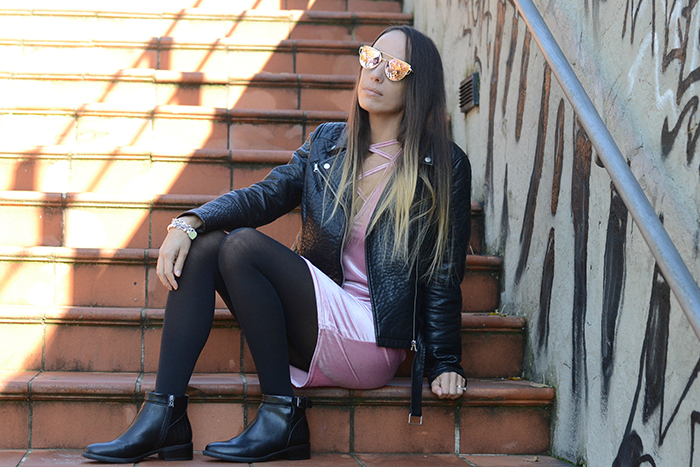 This entry was posted in Styling Sheer Tights and tagged black booties, black tights, Blogger, Pantyhose, sequin skirt, sheer black tights, sheer tights, Southern Curls and Pearls, Tights on January 30, 2017 by tightsreview. Apparently Velvet is a Thing this Fall	No ratings yet.